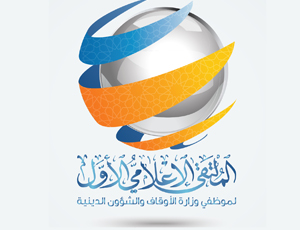 Kicks off on Monday morning , the first Media Forum, which is organized by the Ministry of Awqaf and Religious Affairs , represented by the Religious Information Department and lasts three days. Will sponsor the opening ceremony , His Excellency Ali Bin Khalfan Al Jabri, Undersecretary of the Ministry of Information and that at ten o`clock am at encirclements Mosque of Sultan Qaboos Grand Bucher state. The speakers will in the forum , a group of ministry employees with competence and experience in the field of journalism, editing, brainstorming, design, implementation and other activities related to the media. Where workshops kicks off at eight o`clock in the morning before the opening lecture titled (writing press editing) and to be provided by Ahmed bin Nasser Al - Harthy media journalist and writer. After the opening ceremony will be presented Mustafa bin Nasser Al Alawi lecture on (photography and mobile phone Almnteg). On the second day it will be attended by photographer photosynthesis Omar bin Ahmed Al Busaidi lecture entitled (photography) and then will deliver the designer and graphic Abdullah bin Shamis Muqbali Lecture on (Graphic Design). The closing day will be attended by Ahmed bin Abdullah Al Hosni director of digital communication in a lecture entitled Eridu (administration of social networking sites) and then will present Mustafa bin Nasser Al Alawi a lecture about (brainstorming). This forum is part of plans by the ministry in the development of its employees in order to improve them in order to deal with various media and reached a scientific breakthrough of information and keep up with the times.